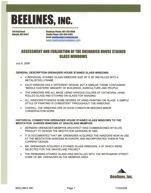 theelvisglass.com has no affiliation with Elvis Presley Enterprises, Inc.
Beelines, Inc. is a 30 yr. old firm that was commissioned in 1998 to restore the 4 windows at Graceland. 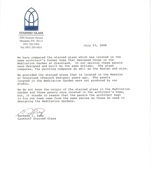 Laukhuff Stained Glass is a 58 yr. old firm that produced some glass used inside the Graceland Mansion in the 60’s. 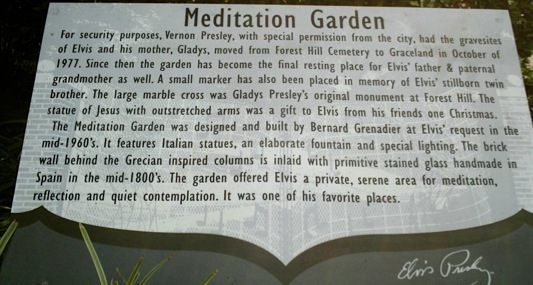 as the designer of the Meditation Garden. 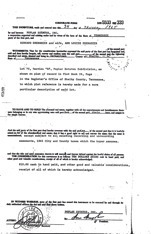 Copy of 1965 Purchase Deed for the Grenadier house where the stained glass was installed.